Aren’t we lucky at the BC Fuchsia & Begonia Club to have Garden Center experts, like Ron and Lidy Kok, as long standing (20 year!) members! 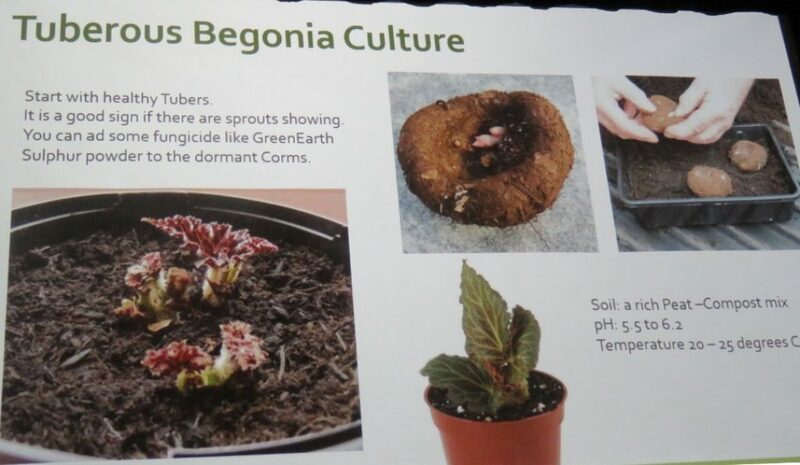 This month, Ron gave us a very useful presentation on “Plant propagation, soil mixes & soil amendments, with special attention given to the culture of tuberous Begonias”. Soil media is made up of various components. 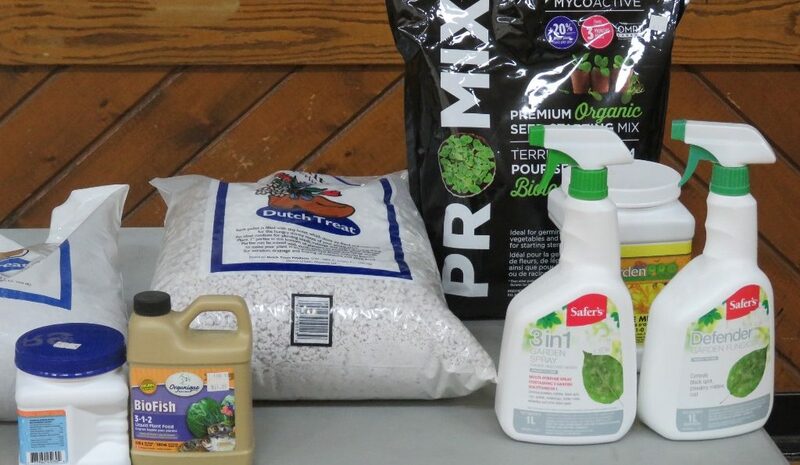 Some of these may include peat moss, coco fiber, perlite, vermiculite, washed sand, or compost. Much of our peat moss comes from Northern Alberta and Saskatchewan. The top layer of soil in the peat bog is removed first so it is very clean, although quite dusty. Peat moss has a pH of 3 or 4, so it is very acidic. Coconut fiber is becoming popular as it is thought to be more environmental. When Peat reserves are used, the land and habitat are destroyed. (However, Ron suggests that more peat is currently destroyed by fuel users than horticulture!) 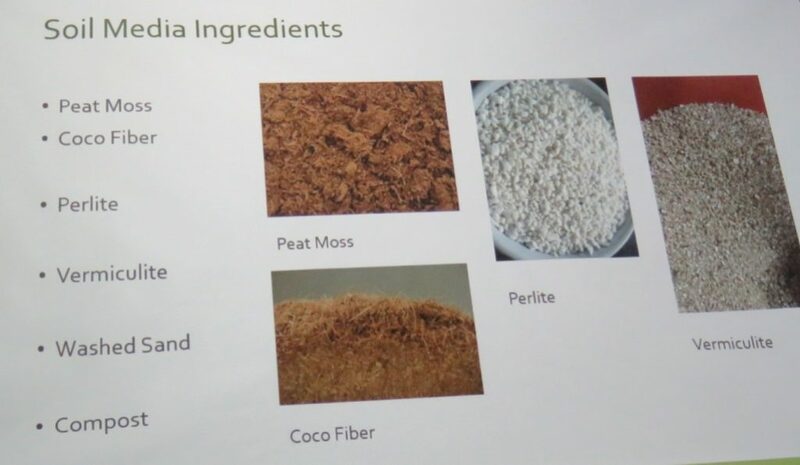 Coco fiber also keeps the soil neutral whereas peat makes it acidic. It is generally obtained from inland areas, or it would be too salty from the ocean. Perlite is used for drainage and is available in different sizes. 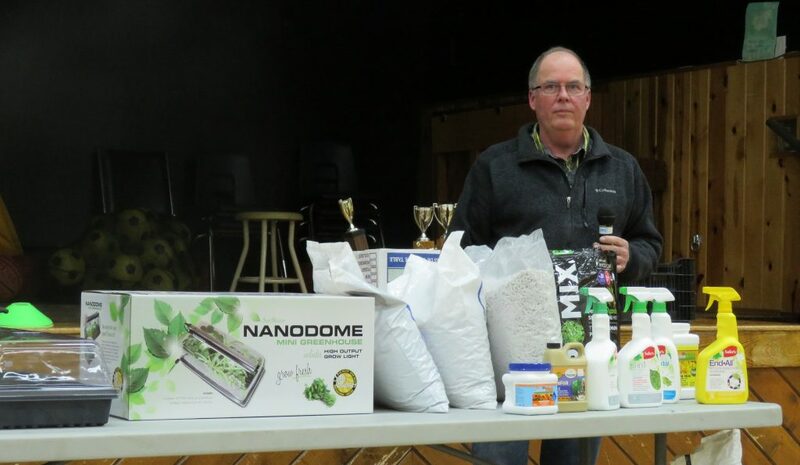 Fine perlite is best for seedlings. Perlite is not Styrofoam! It is mined, like pumice, but less expensive. Vermiculite is also mined, and then heated up. It has lots of air spaces between the plates. One disadvantage is that it flattens out over time. Sand adds weight. Be sure it is washed sand so that it’s not salty. With compost, watch for insects. Don’t use outdoor garden soil for your inside plants. There are too many unwanted pests! In growing your seedlings and cutting, you can use both incandescent with fluorescent lights for a good mix. Led lights use less energy. There is lots of research going on with these, especially with changing the type of light for different stages of growth. Ron highly recommends heat mats for cuttings. 20 to 25 degrees temperature is needed to promote good growth, especially for Geraniums/Pelargoniums. Soil needs air spaces. CO2 is expelled at night through roots. Wash and flush out soil to remove salts. 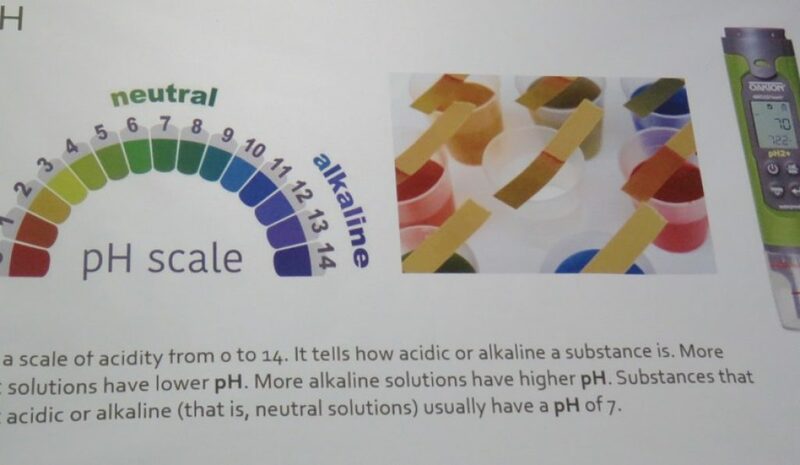 If the pH is not suitable, the plant can’t take up micro elements. This results in poor growth. The granular form of fertilizer is the cheapest but be careful using slow release types on indoor plants. Don’t overdo it! Warm temperatures increase the release, so you could burn the roots. Ron likes to alternate different types and brands. Begonias were first brought in from South America to Europe in the 1870s. 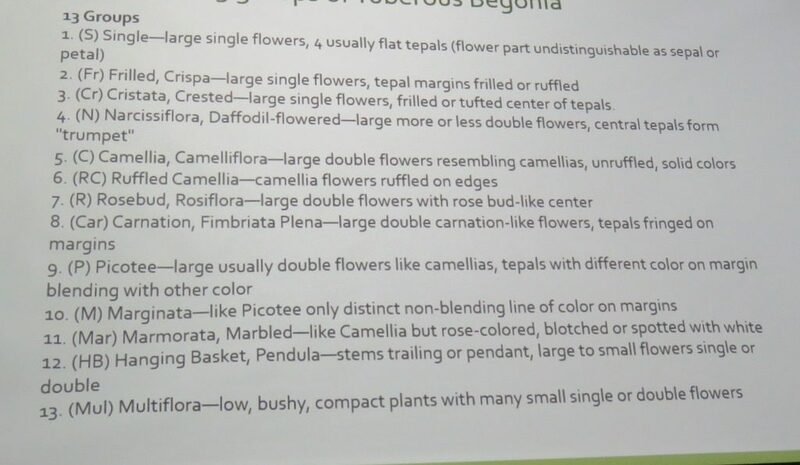 There are 13 (or maybe even 17) groups of tuberous begonias. The blooms are the most important aspect when showing begonias. Choose a firm plump tuber when purchasing. Ron doesn’t like to bury the tubers as they can rot. He just pushes the tuber into the top of the soil. If you notice any bacterial problems, this can be deadly so just discard the tuber. Begonias have very fine seeds, so a mini greenhouse is a must if you plan to try propagating this way! As with all plants, there are pests galore! 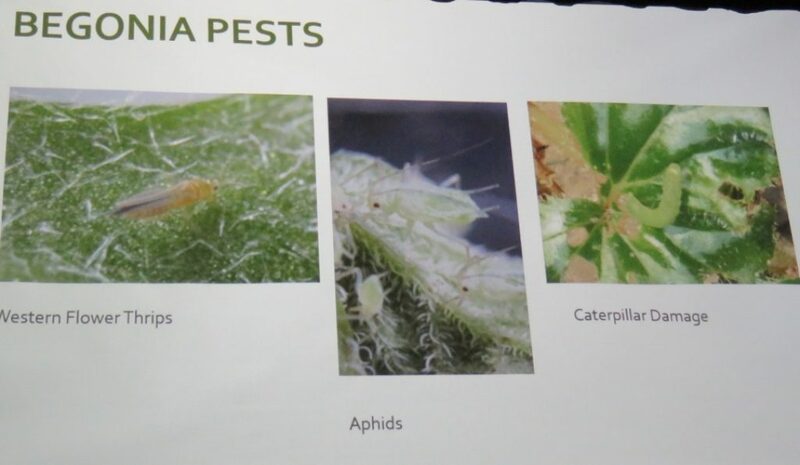 Nurseries particularly find thrips to be a huge problem. Silvery markings on leaves are often due to thrips. 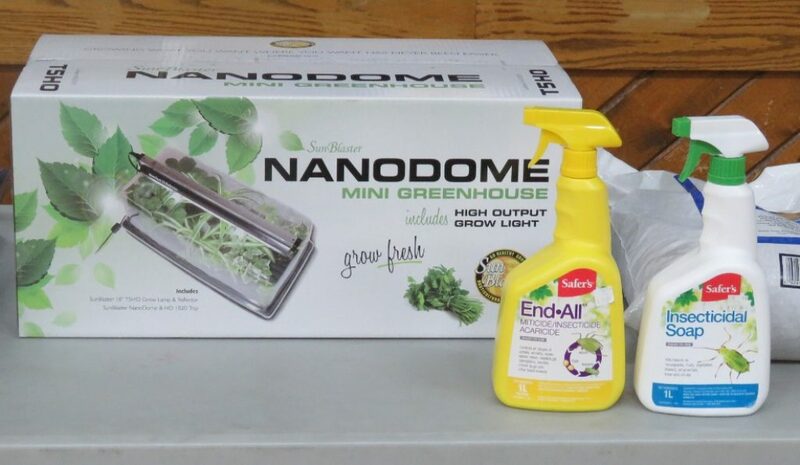 Get rid of any aphids asap as they breed quickly! Check the underside of leaves for caterpillars. Mites are hard to control if you are too late in attending to them. Mealybugs are a problem in hot weather especially. Isolate the plants and dip whole plant in soap solution. Rubbing alcohol on a Qtip can be dabbed on individual pests. 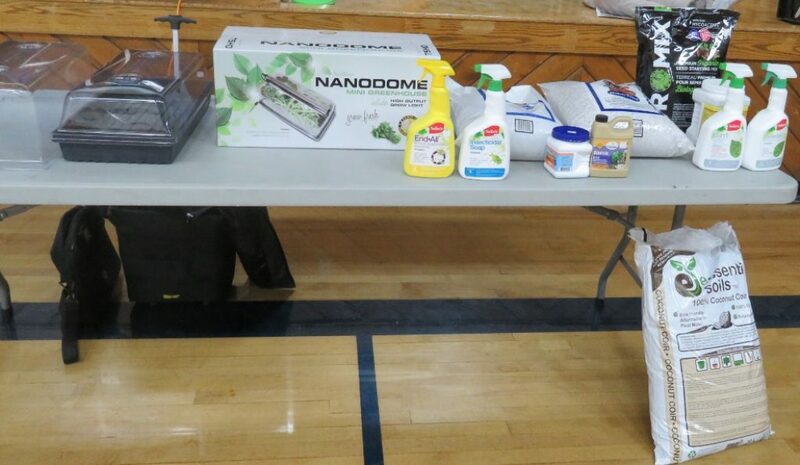 There are many solutions available to treat pests. Good advancements have been made to make products environmentally safer. Products last almost forever so there is no expiry date. The bottles themselves, however, will decompose in about 3 years if left outside! 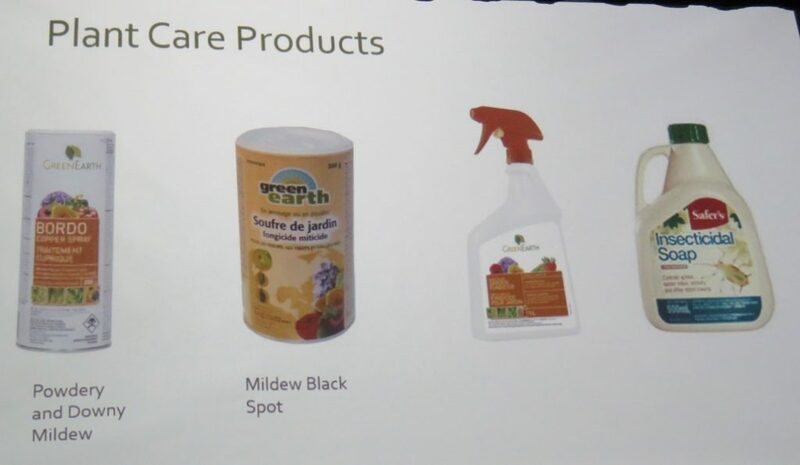 Among the products mentioned was “3 in 1 Spray”, which is a combined insecticide, fungicide, and miticide. Bio fish is an excellent additive and it doesn’t smell. Choose a coarser peat when using it for begonias. “Super Bloom”, as the name suggests, is good for blooms. The last number (Nitrogen-Phosphorus-Potassium) is 45 which means it has 45% potassium. Be careful when using gels with begonias. Gels in baskets can result in overly wet soil if it’s rainy. Don’t put too much gel in! 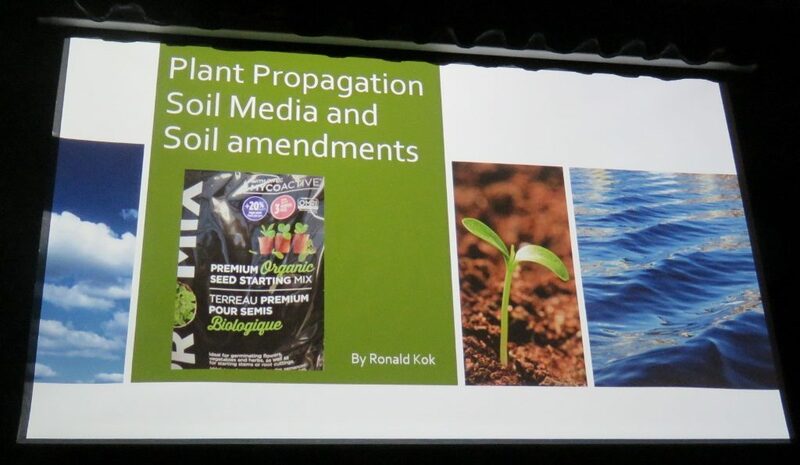 Ronald Kok received his horticultural training at College in the Netherlands. After college Ron worked at the Institute of Plant Genetics at the University of Amsterdam, in the Petunia breeding program. 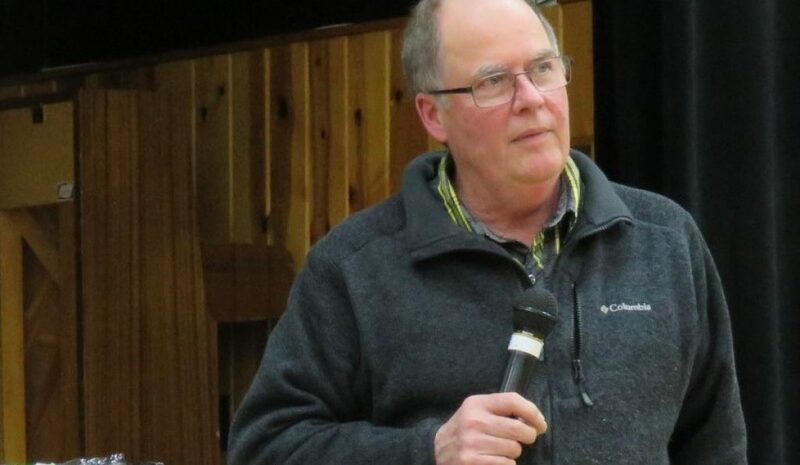 In 1974 Ron and wife Lidy immigrated to British Columbia, and Ron worked at the Agriculture Canada Research Station in Agassiz, doing non-soil media research for the Tomato and Cucumber industry. 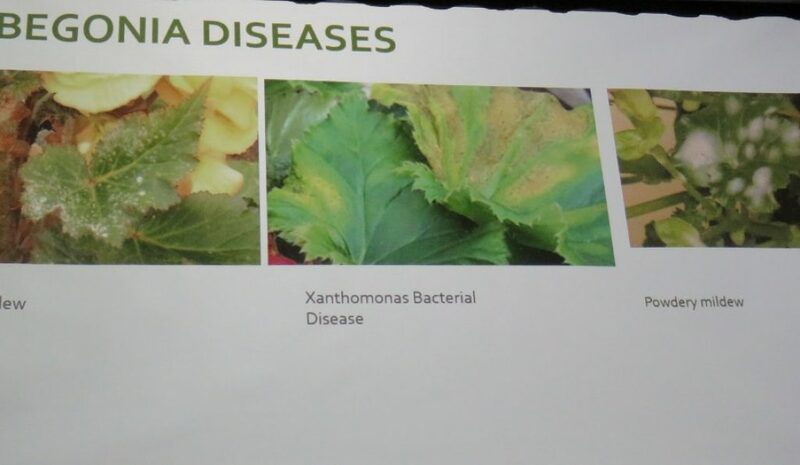 He progressed to the Agriculture Canada Research Station at UBC where Ron grew hundreds of plant species to supply the scientists with specimen for virus research. One of the technicians was cleaning up virus from Fuchsia stock by cultivating the meristem of popular Fuchsia varieties and heat treating the plantlets. This is where Ron’s interest in Fuchsias started. Later he worked for the Vancouver Parks Board Greenhouses, and the Bloedel Conservatory where he grew a wide variety of annuals and the Fuchsia trees for the city parks – Some Fuchsia tree specimen were 30 years old. At this time Ron and Lidy were thinking of starting their own greenhouse business and in 1979 they purchased a 5 acre parcel of land in Pitt Meadows where they build their home and first greenhouse. Over the years the business grew and greenhouses were added and the focus shifted from wholesale to retail. September 2017 Lidy and Ron transferred the business to their oldest son and daughter in law and Ron retired. (Ron proudly announced that their son recently received a Best Business Award!) Now Ron is busy renovating their new home and still grows a few houseplants. Lidy and Ron have been members of the BC Fuchsia and Begonia Society since 1997.